It's TAY Game Night again! 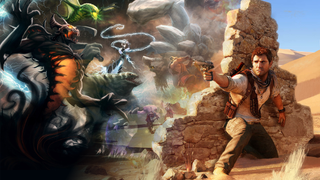 Tonight we will be playing DOTA 2 on PC and Uncharted 3 on PS3! I don't have either game so enjoy your game of choice tonight with your wonderful hosts. Oh wait no one signed up to host Uncharted 3! Better figure that out if you guys want to play! Game night is at 9:00 PM EST so you'd better hurry up! LiddoJunionr has kindly offered to host DOTA 2 tonight. You can find his Steam Profile here! The TAY Steam chatroom is there for you to help you guys get organized! As for you PS3 people, I need someone to host Uncharted 3! A lot of you voted for this so hopefully one of you will be available... I will update as soon as I have something. As always, you can find everyone on the TAY Gaming IDs spreadsheet and find out what we're playing this month on the October Game Night schedule!